“Transferring power from the wheels that slip to the wheels that grip.” That is the definition of AWD vehicles in a nutshell, AWD cars are basically all-wheel drives and although they aren’t quite as powerful as 4WD nor can they match the agile power delivery necessary for low-speed off-roading like rock crawling. AWD does have some clear advantages over 4WD . The maintenance and complexity of these systems can also get extraordinarily expensive, but ensuring it functions as intended, is crucial to your safety. If you’re thinking about buying an AWD vehicle, there are plenty of options available to you. Here’s a summary of 5 best AWD cars under 15,000 to – 20,000 dollars. Dodge Charger, Chrysler 200, Ford Fusion, Mini Cooper and Ford Taurus. The New York International Auto Show displayed a slew of the best 2019 SUVs. Here is the list of best AWD vehicles out there, on the road and off. The RAV4 was the best-selling Toyota and non-pickup-truck in the country in 2017, with just over 400,000 units sold. Toyota is hoping to build on that success with a completely fresh, athletic looking RAV4 in 2019. The fifth-generation 2019 RAV4 will offer a larger interior, more luxury options, and an all-new chiselled look. Expect to see the 2019 RAV4 hit dealer lots in late 2018, with hybrid models coming in early 2019. With three AWD systems on offer, including a new Dynamic Torque Vectoring All-Wheel with Rear Driveline Disconnect, the 2019 RAV4 should be a great all-weather and dirt road adventure vehicle. It is one of the top AWD cars. It seems Subaru and Toyota had similar thoughts when redesigning their flagship compact SUVs. The 2019 Subaru Forester is also a fifth generation of the nameplate, offers a wheelbase that is 1.2 inches longer, comes with more intelligent safety features standard, and should hit dealer lots late this year. The 2019 Forester will come standard with Subaru’s legendary symmetric AWD system and offer an impressive 8.7 inches of ground clearance which makes it one of the best AWD sedans in the market. A quieter, more refined interior is accented by the new technologies SUV buyers now expect. Things like a standard rear camera and new electronic parking brake make life with the Forester that much easier. Growing off the success of Cadillac’s XT5 midsize SUV, which accounted for 44 per cent of all Cadillac sales last year, the all-new luxury compact SUV Cadillac XT4 was born. Built on an all-new chassis specifically for Cadillac, pricing will start at $35,790. You can pre-order your own XT4 nWow, but they won’t be available until the fall. The styling of the 2019 Acura RDX luxury midsized SUV comes from Acura’s latest NSX supercar. That sporty, aggressive design language carries throughout the third-generation RDX. The return of optional torque-vectoring Super Handling all wheel drive (SH-AWD) in the RDX will make this SUV super competent in all weather conditions. The system can send up to 70 percent of the engine’s torque to the rear wheels, as well as 100 percent of that torque to one specific rear wheel at a time. This is among one of the best AWD cars. A new design and naming program for the fourth-generation Hyundai Santa Fe are on tap for 2019. The current five-passenger Santa Fe Sports name will be dropped, and it will simply be called the Santa Fe. Lincoln teased the Aviator at the NY Auto Show. Expect it to hit dealer lots sometime in 2019. The Aviator is a three-row SUV that looks very much like the Range Rover Velar. This isn’t a bad thing, as the Velar is a sleek, beautiful luxury SUV. The Aviator will enter the medium luxury AWD segment, which accounted for over 500,000 new vehicle sales in 2017. While just a concept at this point, we can’t overlook the debut of the VW Atlas Cross Sports Concept. It is very close to the small SUV that you can expect from VW’s Chattanooga, Tenn., factory. Expect the vehicle at dealer lots sometime next year. 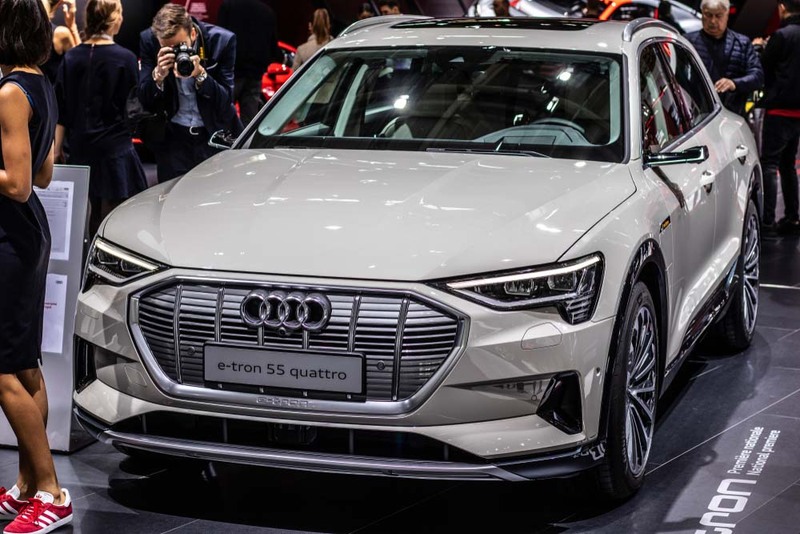 The E-Tron Quattro is Audi’s first full-production, long-range electric vehicle. Audi considers it a crossover, but the E-Tron Quattro’s low ride height and sloping roofline give it more of a wagon like appearance. Using a 95-kW-hr battery pack and three electric motors, the E-Tron Quattro will be about as quick as the Jaguar I-Pace. Audi also says owners will be able to charge their E-Tron in less than 30 minutes at a 150-kW charger. Making this model one that is on par with even the best AWD sports cars. 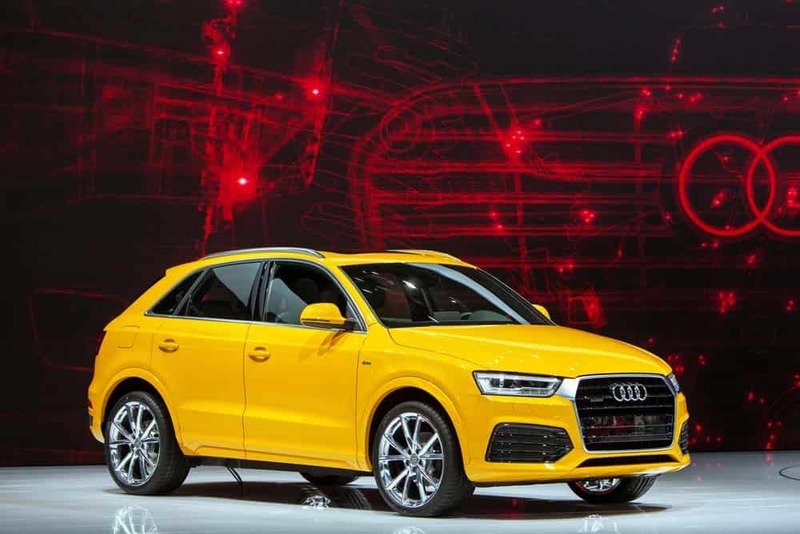 The Q5 was redesigned last year, so although Audi might add standard features or new colors for 2019, expect any changes to be minimal at best. We’re big fans of the well-designed cabin, spacious interior, and high-tech Virtual Cockpit. Attractive styling helps it stand out in a crowded segment. The base four-cylinder pulls hard with minimal turbo lag, and the SQ5 hits 60 mph in 5.0 seconds. Audi redesigned its smallest crossover for 2019, giving it an A8-inspired front end, sportier styling, and a modern interior. The Q3 is also more spacious than before. A large touchscreen and an even larger instrument display come standard. Several driver-assist features are available, as well. Initially, Audi will offer four engines in Europe.